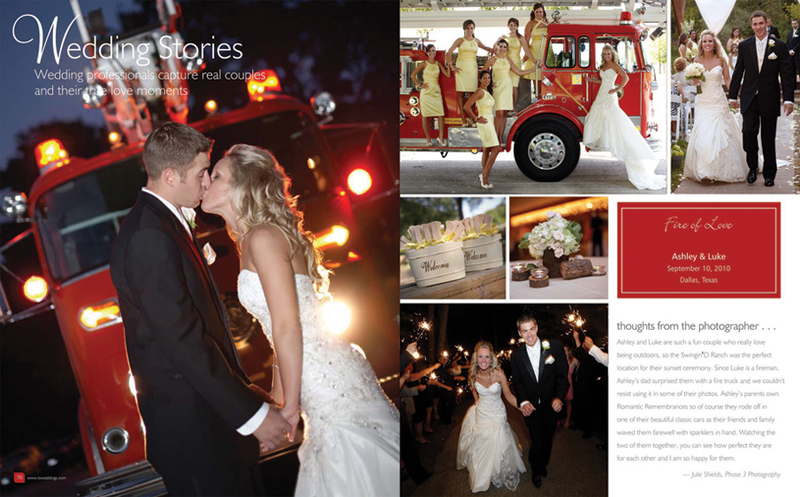 I was so excited to see Ashley & Luke’s wedding featured in the newest issue of the Texas Wedding Guide! Their wedding was this past Fall at the Swingin D Ranch in Parker, TX which was the perfect setting for their sunset wedding. Prior to their wedding I photographed their engagement session out in the country roads of McKinney. 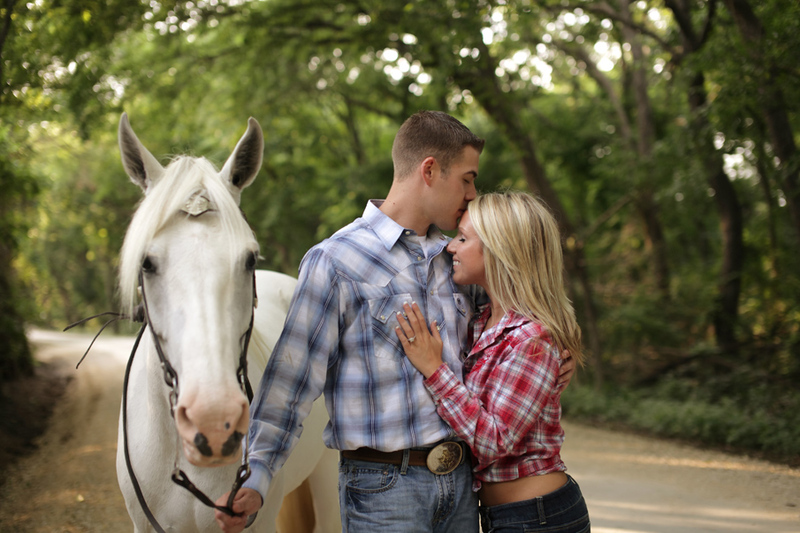 They both love horses and my friend Shannon with Happy Trails Carriages let us use one of her beautiful white horses for the session.